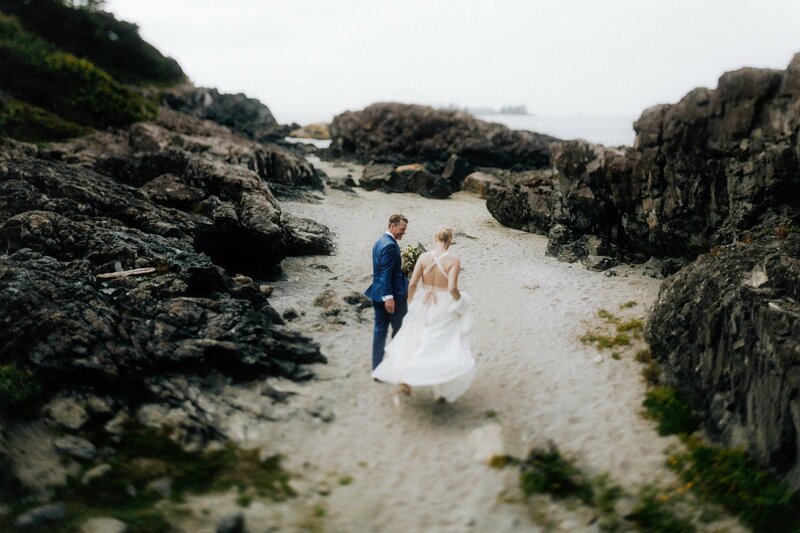 Upon visiting Tofino a year before their wedding, these two exploration geologists happened to be near The Shore Pier and chanced upon a wedding happening there. They thought to themselves, “oh that’s a nice spot for a wedding” and then carried on with their day. They got engaged soon after and decided this corner of Vancouver Island would be perfect for their destination wedding and a rare opportunity to have all of their loved ones in the same place. I couldn’t have agreed more with Leah & Fred, having photographed love in this location a few times before (see: this Tofino elopement and this Ucluelet wedding). Here’s a preview of the magic Tofino served up during our time together and the incomparable hearts of Leah & Fred.